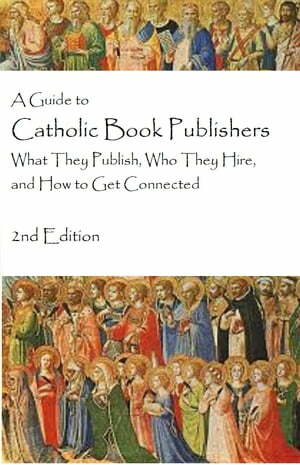 Collins Booksellers - A Guide to Catholic Book Publishers, 2nd Edition by Mary Ellen Waszak, 9781933048581. Buy this book online. This guide is a tool to provide you—the prospective employee, author, or freelancer—advance intelligence about your market. Use this guide to target your skills and interests to a publisher’s scope and needs. There are over 100 publishers listed in this guide. Most of them hire on a regular basis—particular skill sets for their particular needs. Use this guide to research what a publisher typically releases. With active web links, you can connect to the company’s web site with one click of the mouse. The publishers’ sites provide more in-depth profiles of the companies, as well as information such as: job opportunities, writer’s guidelines, current publishing lists, and additional contact information.